For several years, Dai Gyakuten Saiban was nothing but an elusive video game, beyond the reach of non-Japanese Ace Attorney fans. It was like one of your friends was holding a party, but you weren’t invited. Okay, perhaps not as dramatic or heart-breaking, but still a sad moment. However, there was a small group of people out there who would make a massive difference. They called themselves Scarlet Study. 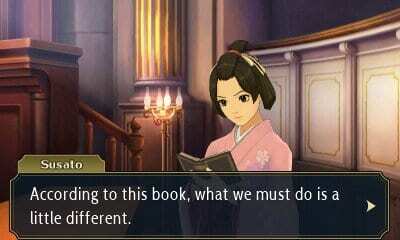 Scarlet Study is a team of fans who have been hard at work making the dreams of Ace Attorney fans come true. They have spent the last few years doing a full translation and localization of Dai Gyakuten Saiban, a Japanese-only game in the franchise. Finally, their hard work has paid off, and the entire game is playable in English. Their work extends beyond a simple translation. They had to rewrite lines and jokes so that they would make sense in English. It’s similar to the work done by Janet Tsu and her localization team at Capcom. A simple translation may have been enough to satiate some fans. However, Scarlet Study’s complete job ensures that many people will be interested enough to try it out. Footage of video game localization, set in the 1900s (colorized). If you’re still on the fence about it, then take this opportunity to give the fan translation a try. After playing through the first four episodes (which were released before), I can say that it’s just as polished as Capcom’s official works. There are little to no glitches or other errors that would detract from the experience. It’s almost as if this IS the official localization. It’s simply that good. You can find detailed instructions to download and use the patch on Scarlet Study’s website. It’s a simple process, but you will be required to use a Nintendo 3DS homebrew. You can patch a physical copy of the game as well if you wish. To do so, you’ll have to order one through eBay. Don’t let the process intimidate you, as it is much simpler than it appears, as long as you carefully follow instructions. 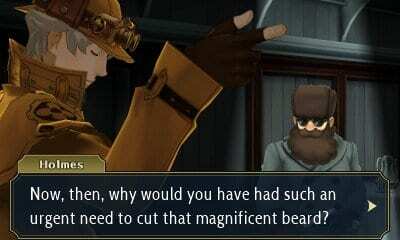 Scarlet Study retains the wit and charm of the Ace Attorney franchise. If you’re interested in reading more about Scarlet Study, then we have you covered. We have a full interview with them discussing some of the trials and tribulations of localization, one of the gaming industry’s most underrated services. A freelance writer based in Sydney, Australia. Loves all types of games, from Clash of Clans to Final Fantasy. In his free time, partakes in well-known Australian stereotypes such as riding Kangaroos to class and wrestling crocodiles.